If you want to meet some friendly hams or experience some different operating modes, why don't you stop by one of the many Field Day events taking place in Upstate NY. You will see various antenna and radio setups along with operators trying to share their knowledge and score some points making contacts through out the weekend. 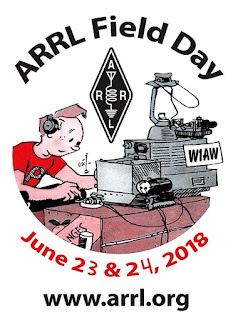 The Fulton Amateur Radio Club, in association with the Oswego County Radio Amateur Civil Emergency Service (RACES), cordially invites you to attend the W2CXV ARRL Field Day operation and Open House. A portable station will be set up at Fort Ontario in Oswego, NY, at the North end of East 4th Street. The station will be in continuous operation from 2 pm on Saturday, June 24 until 2 pm on Sunday, June 25. For 60 years members of the Fulton Amateur Radio Club have promoted the use of Amateur Radio for emergency communication and public service, fostered interest in radio/electronics and provided license training and testing. 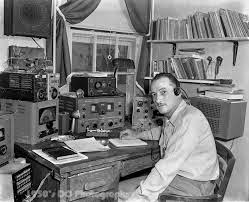 Whether you’re an amateur radio ("ham") operator or not, please join us at Field Day - Open House. 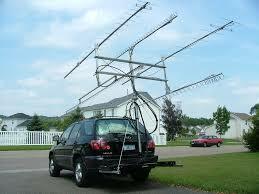 Come learn about amateur radio, explore our common interests, and expand our ability to serve. 14064 W County House Rd. SIARC and the Drumlins Amateur Radio club - ARRL Field Day at the Varick Fire Department, 4682 SR 96A, Geneva. Mailing address is Geneva, but it is in Seneca County. The event is Saturday and Sunday, June 24 and 25, 2017. Set up begins at 10am, Saturday, with operating from 2pm to 10am, Sunday and breakdown from 10am to 1pm, Sunday. All are welcome. See www.arrl.org and the Field Day locator for contact information. Talk in will be on the 145.130- (pl 110.9) repeater.